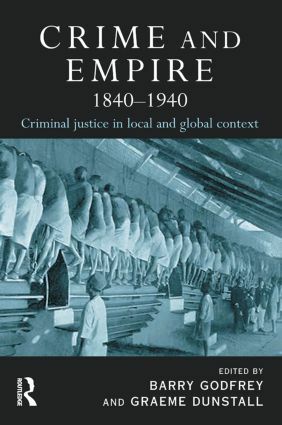 This book is a major contribution to the comparative histories of crime and criminal justice, focusing on the legal regimes of the British empire during the nineteenth and early twentieth centuries. Its overarching theme is the transformation and convergence of criminal justice systems during a period that saw a broad shift from legal pluralism to the hegemony of state law in the European world and beyond. Crimes of violence, crimes of empire?